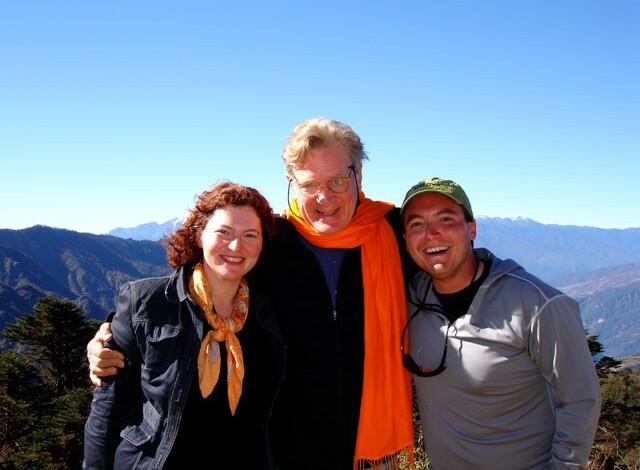 Emily Davidow and Joshua Davidow are siblings and filmmakers who directed and produced Journey with Robert Thurman in Bhutan: Buddhist Teachings and Meditations in the Land of the Thunder Dragon (2012) and the upcoming Journey with Robert Thurman in Mongolia. These films accompany author and scholar Dr. Robert Tenzin Thurman on an educational, spiritual and intellectual pilgrimage through lands shaped by Tibetan Buddhism. Joshua Davidow is the creator and producer of the Bob Thurman Podcast and Bob Thurman Video Podcast since 2006. Josh has worked in live television production at the Oxygen Network and in advertising. He holds degrees from New York University in dramatic writing and the University of Auckland for screen production. Emily Davidow founded Digital Elements, which designs and develops emerging media and e-commerce technologies. She has advised Tibet House U.S. on technology and produced the website for Robert Thurman’s recent book Why the Dalai Lama Matters (BWB/Amazon). Emily has a B.A. degree in Chinese Studies from Wellesley College. Both Josh and Emily recently moved from New York City to New Zealand, parts of which look a lot like the lush kingdom of Bhutan. Their previous short documentary, ©Kiwiright (2009), explores New Zealand copyright law, Internet rights and termination, and who controls culture.